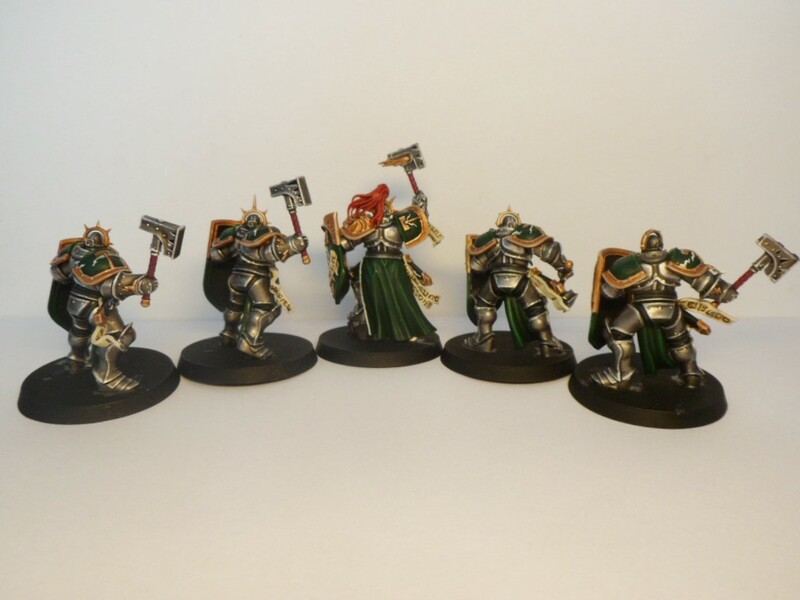 This blog will be used to monitor my Stormcast Eternal models in their various stages, to show off my army, and have some fun getting pointers and comments about my army and work. 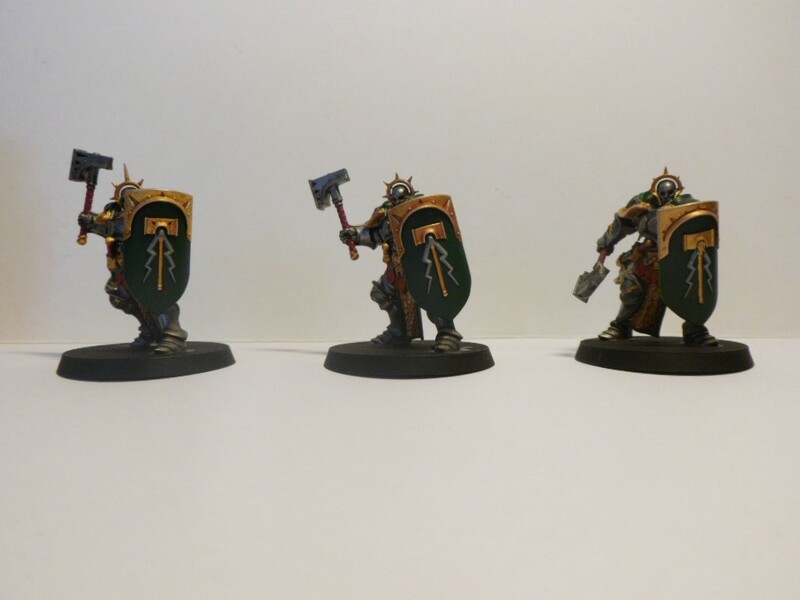 The Knights of the Aurora is a Stormhost from the First Striking, like the Hammers of Sigmar and thus bear the Hammer and Lightning bolt Heraldry. 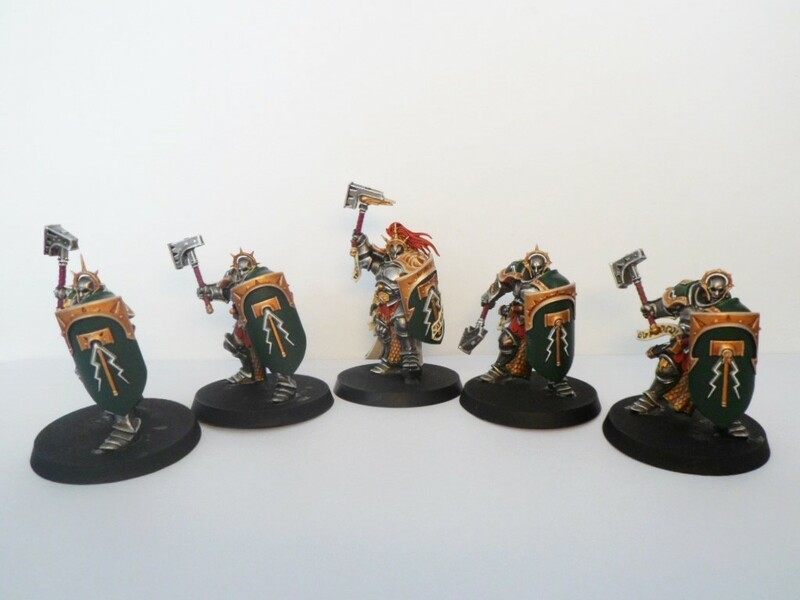 The Borealis warrior chamber of this Stormhost is led by Lord-Celestant "Arturo Boreas" sometimes riding on his Dracoth "Prism" aided by his second in command Lord-Relictor "Amortea Luminu". They get help now and then from the Auxiliary Chamber commanders: Lord-Castellant "Solarius Skygazer", Lord-Veritant "Chiaro Scuro" and his officers Knight-Heraldor "Fulgur Halation" and Knight-Vexillor "Eos Coruscate". Master scout and Reconnaissance leaders Knight-Azyros "Scintil Obscurea" and "Aurio Incandoria" and sky-archer Knight-Venator "Welkin Burnish" are also seen regularly between the ranks. Rarely Knight-Questor "Solicius Dioptric" will be seen joining the army as he is mostly out on his own doing his missions from Sigmar. The Knights of the Aurora were selected based on their speed and agility. Only the best became a Knight of the Aurora. 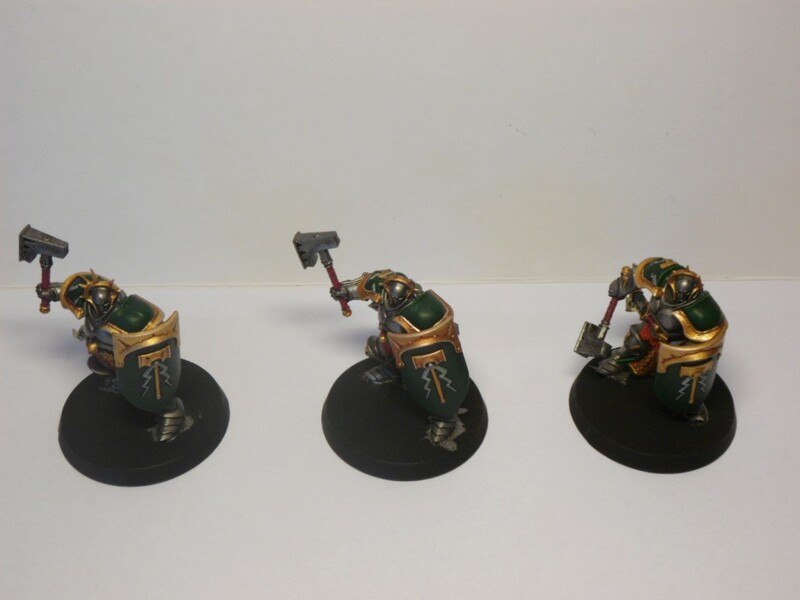 Sigmar deploys these chambers only when he sees that speed is of the essence and that it's better to send in small but fast and effective strike forces. When these strikeforces are being send the lightning leaves a mark on the ground where they land. Crystalizing some of the minerals above the soil. Their first task was to secure the Realmgate to Azyr in the realm of Ghyran (Life) where Arturo single handedly cut down a ravager-lord(1). (2) Balance of Power, p14, 4th block. 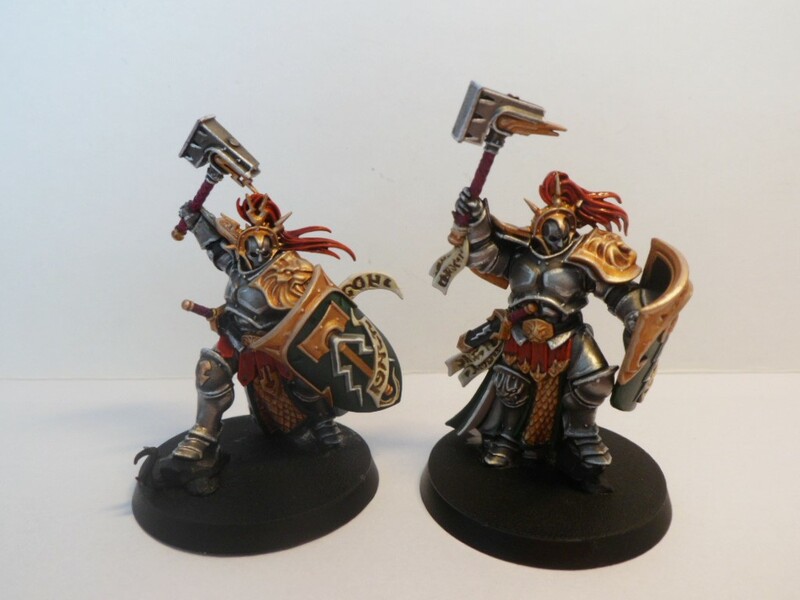 I'll update this 2nd post (and the 3rd aswell if I get my hands on something not Stormcast Eternal related) regularly, so check it often! 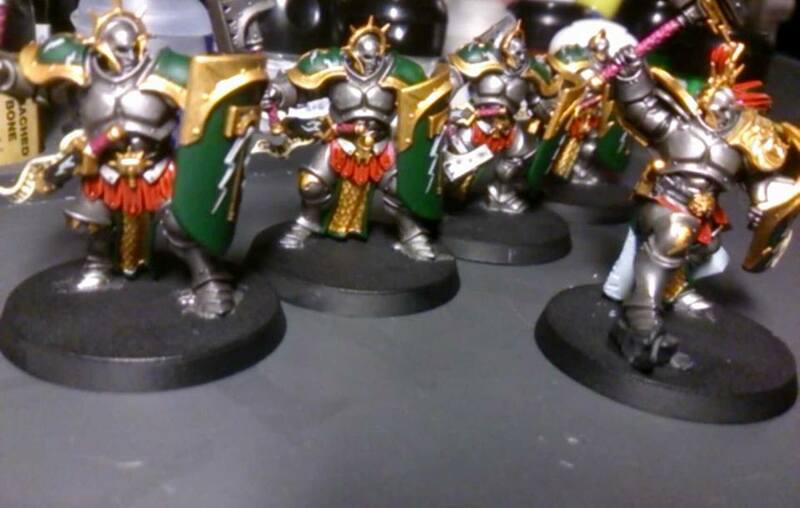 Re: Steg's "need's a name here of the Knights of the Aurora Stormhost"
Keep the pics coming...and you know I prefer this over the GW gold. There still will be GW gold added (but missing those paints as of yet.. stupid local gamesshop either forgets to order it or doesn't get it delivered), but it will be for the decorative stuff, like the shield top and hammer, pauldron edges, scales in the tabard and belt buckles and some assorted smaller stuff. Loin cloth and the plume is in Mephiston red with agrax earthshade now and the parchment has the first layer of ushabti bone. 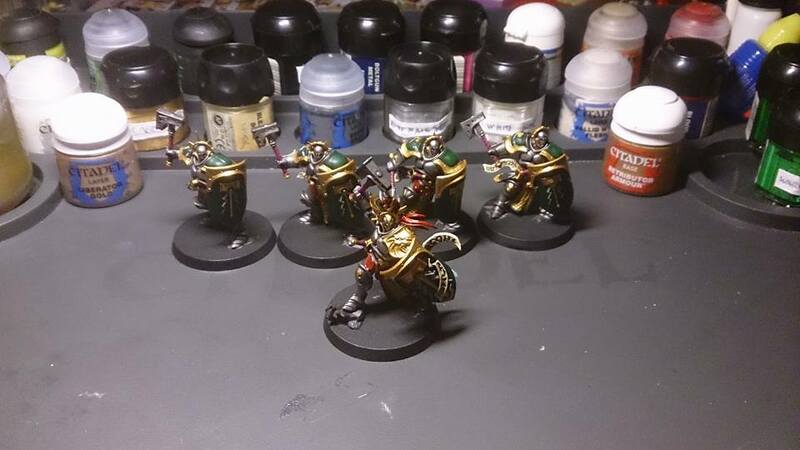 after the gold I only need to highlight the stuff to finish off the models, then onward to the bases! Glad to see you start it up. Looking forward to seeing more colour schemes. They look bright, but maybe that's just the glare from a light or flash. Wow, really nice paint schemes on them. The green and gold work really well together. Evidently they aren't from Stirland. Also, cool paint scheme my good man! It's nice to see ones that arent the posterboy scheme, keep it coming! So after the most left one (doing the G-W gold scheme) I wasn't happy with the results at first, so now tried a few other ways out. After viewing on the picture, still not really happy with the first (looks a bit gritty), second sharp contrast that I like, but like the third one also, which flows better. I really like the gold effect you have achieved. Against the green it really pops out. I like the Eternals rules but my forces need to be more squishy so Free Peoples for me. I'm liking them all, but the middle dude stands out for me. I've got to go with the middle one as well. Couldn't tell you why, but something about it looks better to my eye. Hi Steg, have you fought with your Storm Casts yet? 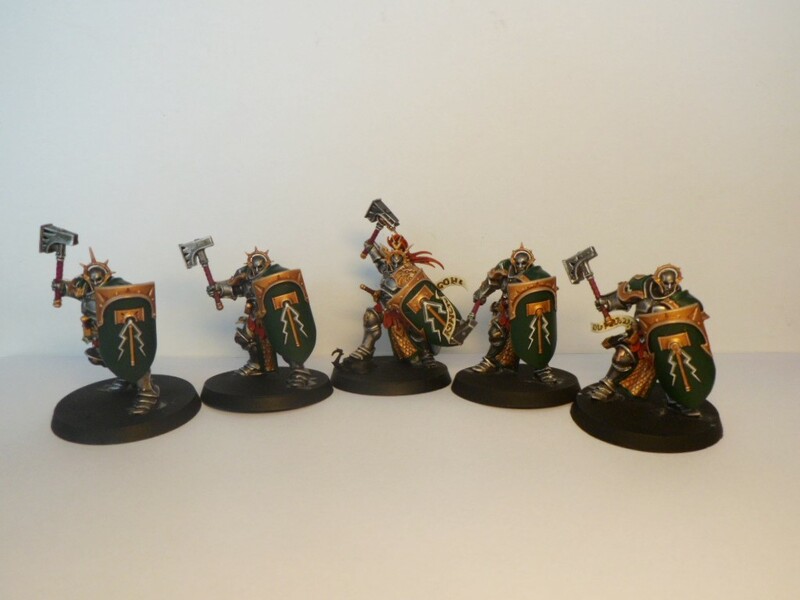 They look great so would be good to see them arrayed for battle. 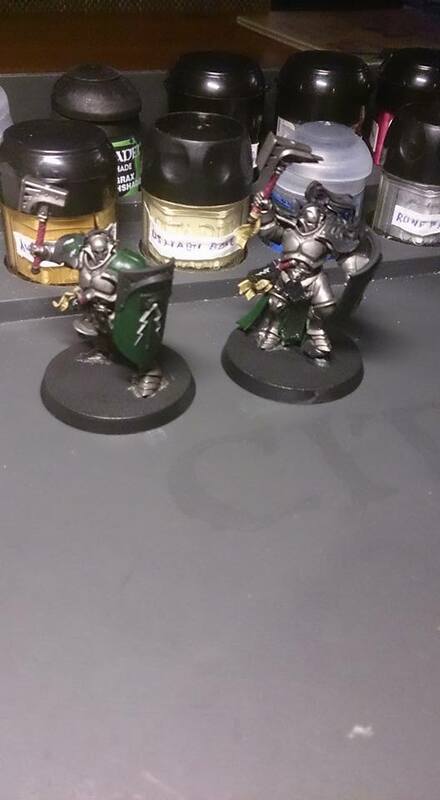 Highlighting the armor reduced the brightness of the gold and that's a good thing. 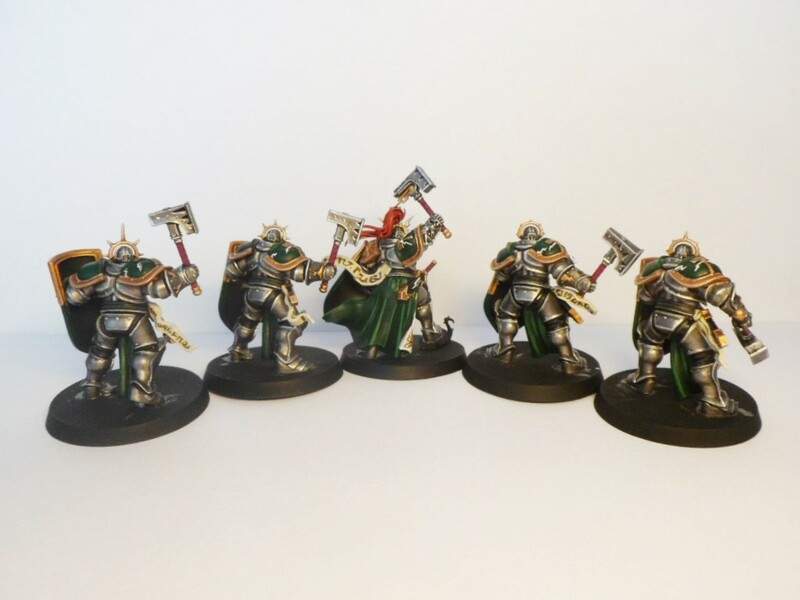 Best looking Storm dudes I've seen so far. Excellently done, indeed. 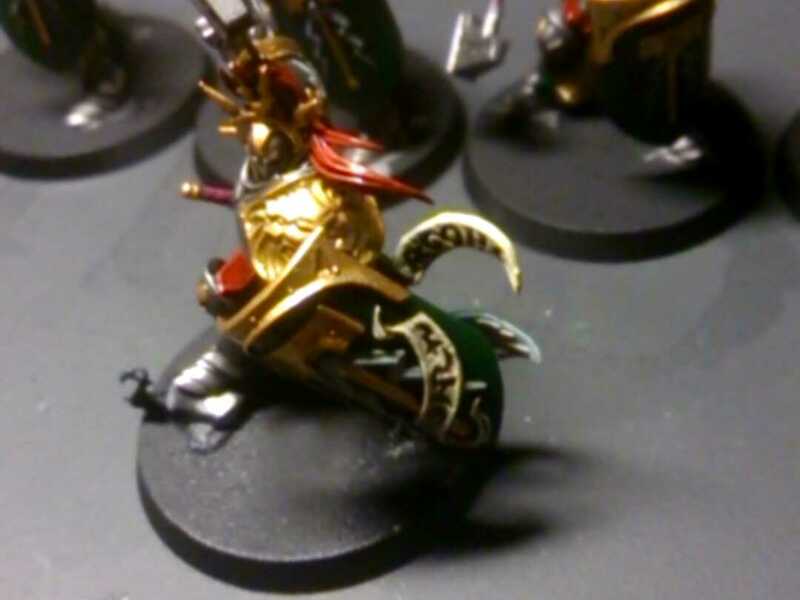 I really like the shields and how they turned out, hope to see more! I bought a Citadel Wood thursday and have now assembled it.. well the bare trees as I first want to paint it up before adding the leaves. But before that it's back to painting the Stormhost.